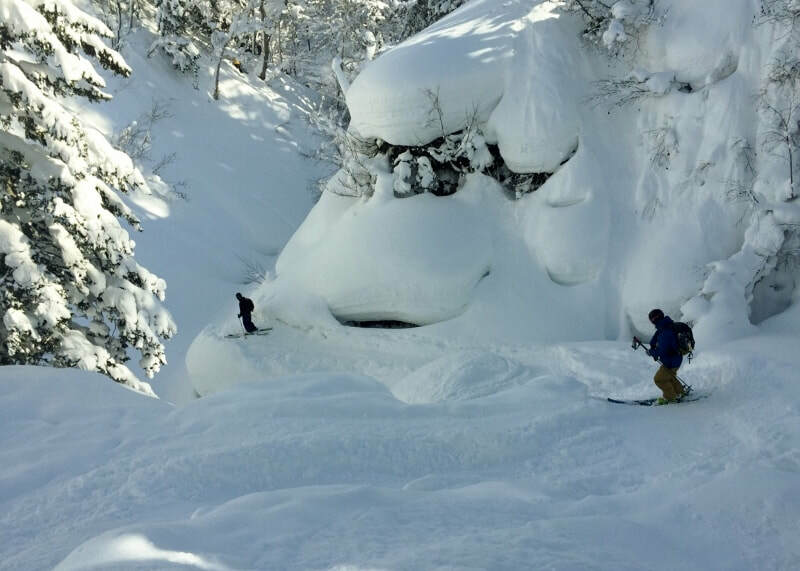 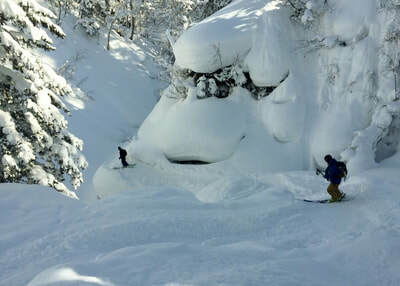 Niseko’s only resort-operated back country guiding company, Hanazono Powder Guides (HPG) is based at and is under the direct management of Niseko Hanazono Resort. 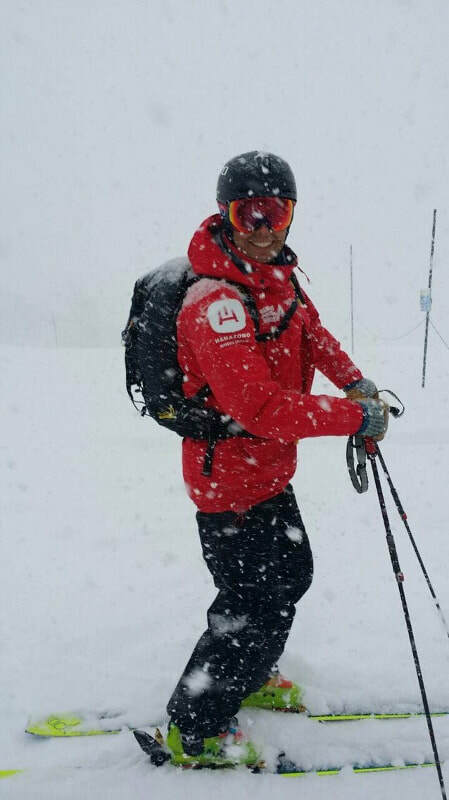 Working alongside the ski patrol, lift operators and ski school gives them a unique advantage to provide the best equipped and safety aware guiding services in Niseko. 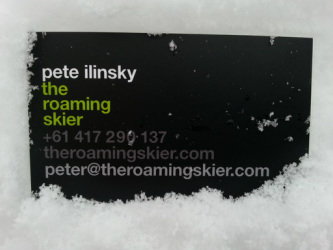 Using THE ROAMING SKIER for your Niseko based ski adventure we are in the unique postion to offer a First Tracks Guarantee. 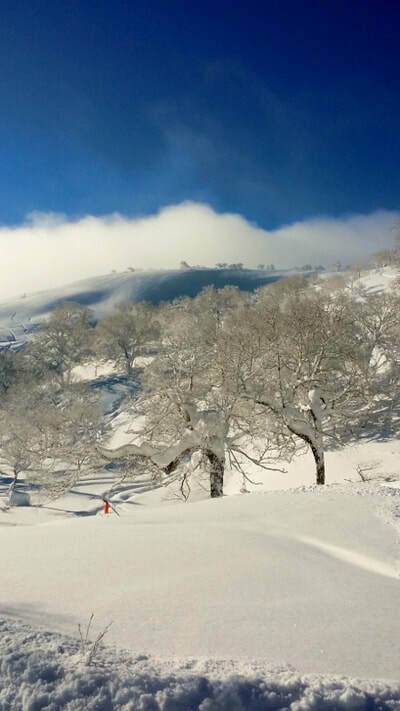 The First Tracks service offers all backcountry safety equipment, complementary morning pick up service and getting you on the lifts by 7.30am before the rest of the mountain opens. With a collection of nearby local ski areas all within a hour's drive, and plentiful opportunity to access the untracked powder locally we can put together a customised adventure to really make the most of your time in Japan. 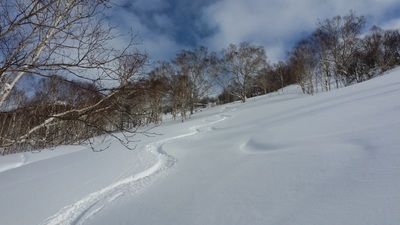 and riders into the backcountry areas of Niseko. 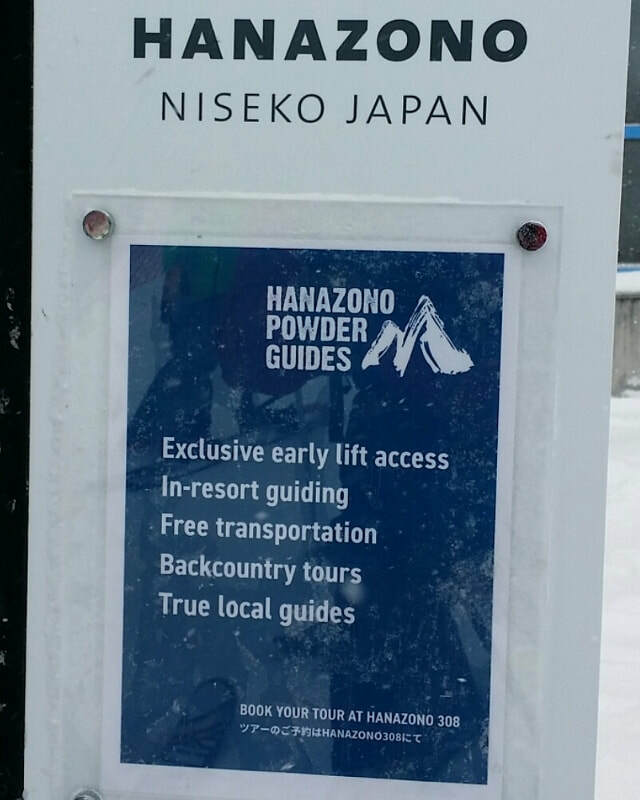 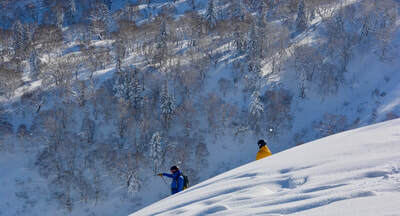 HPG oﬀers professional guiding into areas both within and beyond the boundaries of the Niseko Ski resort. 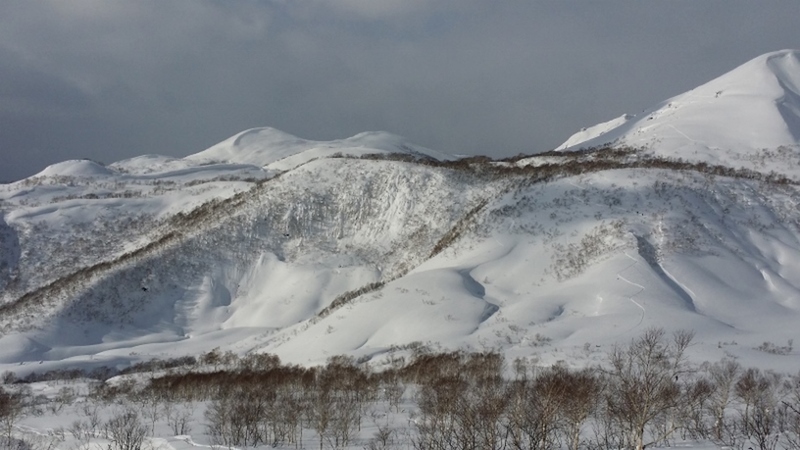 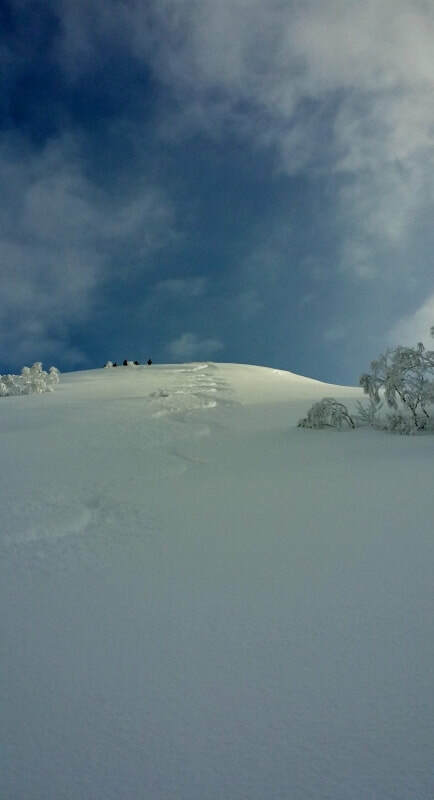 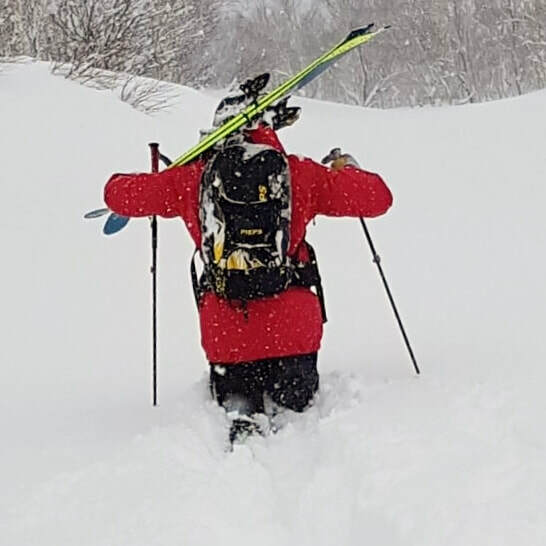 With such an abundance of powder in Niseko, the need to hike to ﬁnd untracked areas is minimal, our tours (unless otherwise requested) are based on lift access side country which oﬀer minimum hike and maximum descent.